EXCELLENT ART (GB) (2004). 4 wins-3 at 2, Royal Ascot St James's Palace S., Gr.1. Sire of 521 rnrs, 292 wnrs, 16 SW, inc. Lady Lara (Gulfstream Honey Fox S., Gr.2), Graphic, Hazel Lavery, Experience, Artistic Jewel, Under the Louvre, Tropaios, Aim to Please, Alart, Excilly, Artwork Genie, Artlee, Absolut Excelencia, Lehaaf, Nimohe, Sparkling Portrait, SP French Quebec, Get the Picture, Universo Star, Boris Grigoriev, Chapter Seven, Gray Pearl, etc. Emerenta (f. by Excellent Art). 4 wins. See below. Chilldown (g. by Churchill Downs). 3 wins at 1200m to 2015-16 in Aust. Nazira (f. by Blevic). Placed in Aust. Senglea Sun. 4 wins to 1350m to 2014-15, Ipswich TC GTC Concreters H., 3d MRC Schweppes H.
Ivory Cross. 3 wins from 1450m to 2500m, MRC Slickpix P., MVRC Local Roadways H.
Danazira. 3 wins. See above. Real Fit. 2 wins at 1200m in 2014-15, HKJC Mei Tin H., Ng Tung River H., 2d HKJC Shouson Hill H., Koji H., Citibank Wealth Management Services H., Lau Fau Shan H., 3d HKJC Clarke Quay H., Luk Wu H., Tin Ha Shan H.
Amici d'Amore. 2 wins at 1200m, 1800m, SAJC Adelaide Galvanising Industries H., Betfair.com H., 3d SAJC Cleandomain P., Flight Centre Twilight H.
Freedom Bell. 2 wins at 1100m, 1200m in Malaysia. San Gabriel. 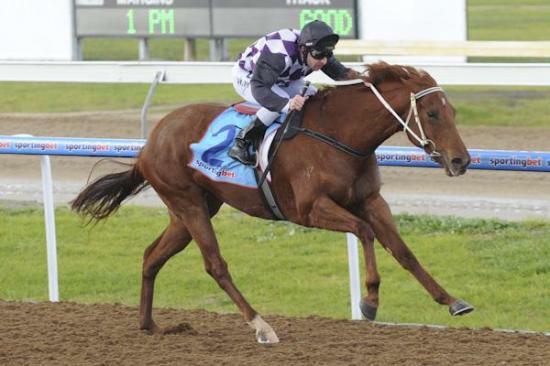 2 wins at 1450m, 1550m in Aust. Over in Seconds. Winner at 1400m in Aust. Are You Awake. Winner at 1350m in Aust. Today. 6 wins to 1500m, MRC Ellerslie H., 2d MRC Ungar H., St Sidwells H., MVRC Nightmarch H., 3d MVRC Jayco 30th Anniversary Sprint H.
Joker Classic. 2 wins at 1300m, 1600m in Malaysia, 2d Selangor TC Juvenile Million Challenge (3rd Leg). Ragazzino. 4 wins from 1250m to 2000m, 3d SAJC Sharon Forrester Jones Xmas H.
Trojan Destiny. 4 wins from 1850m to 3200m, A$86,395, ATC Australian Turf Club P.
Humble Prince. 8 wins at 1100m, 1200m, 450,201Rgt. in Malaysia, Selangor TC Open H., 2d Penang TC Da Ma Cai S., 3d Perak TC Da Ma Cai Malaysia 3YO Championship Final, 4th Perak TC Sultan Gold Vase, L.
COMELY GIRL (Marscay). 4 wins. See above. HUSSAR'S PICK (Seventh Hussar). 11 wins-1 at 2-from 950m to 2600m, A$80,465, VRC Johnnie Walker H., L, MVRC Herbert Adams H., 2d VRC Lancaster H., 3d MVRC Flight Deck H., Frank Dempsey H., Windy Hill H.
Hussar's Show. Winner at 2, STC Jewel Food Stores H., 2d STC Veilmond S., 3d AJC Feminist H., Indian Summer H. Producer. Race Record: 22 Starts 4-5-3 A$94,420. 4 wins to 1150m, A$94,420, to 2014-15, 2d MVRC Telstra Business Centre Richmond H., 3d MRC D'Urban H.